For decades, California oil companies have disposed of wastewater by pumping it into aquifers that were supposed to be protected by federal law. California regulators mistakenly granted permits to do it, through a combination of poor record keeping, miscommunication and permitting errors. Now, years after the errors first emerged, state officials say that 460 underground injection wells that were disposing of wastewater illegally will be shut down. However, the state will miss a deadline to shut down 1,650 other wastewater wells operated by oil companies. In fact, they don’t intend to shut them down at all. Many of these wastewater wells are near Central Valley farmland, where groundwater has been a critical water source as reservoirs dried up during the state’s historic drought. The wells were scheduled to be closed by mid-February this year, unless both federal and state water officials approved them through a public review process. But California oil regulators are still in the process of filing the necessary paperwork for the environmental reviews. Until that happens, state regulators announced today that the wells will be allowed to continue operating. They say the 1,650 wells are disposing of oil wastewater in areas where the groundwater isn’t clean enough to be a drinking water source, so no risk of contamination exists. Some environmental groups say the wastewater wells should have been shut down years ago, until the state could gauge the extent of the problem. Oil companies produce massive amounts of wastewater, the result of drilling into California’s watery oil formations. For every barrel of oil, companies get 15 barrels of wastewater. The “produced water,” as it’s known, is often extremely salty and holds trace metals and chemicals like benzene. Handling that water is a major operation for California’s oil companies. 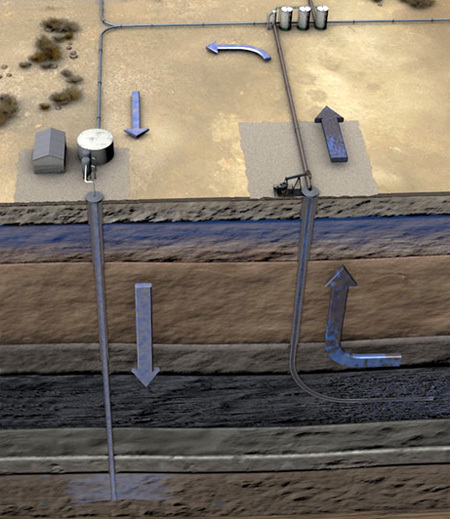 Some of it is injected back underground into oil formations to boost production. Most of the water is disposed of permanently by pumping it into underground rock formations through a well that’s similar to an oil well. Disposing of wastewater this way is allowed by federal law when the groundwater is too salty to potentially be a drinking water supply. But groundwater closer to the surface is automatically protected by federal law when it’s clean enough to drink or could be a drinking water supply with some treatment. The only way oil companies can dispose of wastewater in those zones is when the aquifer has been exempted from federal protections. The state must go through a public review process with the federal Environmental Protection Agency to get an exemption. That’s where the California’s problems began. 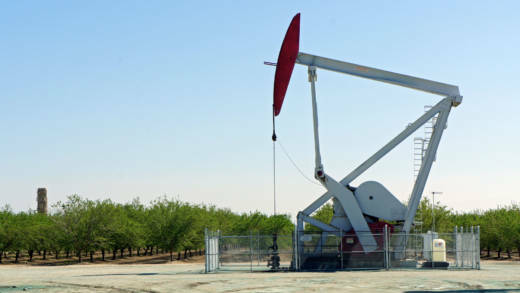 In 2011, the federal EPA, which enforces groundwater protections, audited California’s oil regulatory agency, the Division of Oil, Gas, and Geothermal Resources. The audit uncovered a trove of problems. Wastewater was being disposed of in aquifers that were clean enough to drink. In all, state officials mistakenly gave permits to more than 6,000 wastewater injection wells in protected aquifers. The permits were given out due to confusion over where the geographic boundaries of aquifers ended or whether the aquifer itself was protected or not. By December, the state had ordered more than 200 wells to be closed, some of which were in the cleanest aquifers. Since then, oil regulators have reviewed more than 5,000 other wastewater wells, to see whether the surrounding aquifer should be protected — or is too salty and should be exempted from federal protection. The state agreed to complete that review and file for the necessary exemptions with the EPA by February 15, 2017, or the wells would be shut down. Now, oil regulators say meeting that deadline isn’t possible for all the wells. The agency brought on additional staff to do the reviews, but says the process has been slower than expected. In some cases, oil companies were slow to provide the necessary information. In other cases, the complexity of the underground geology required more time to analyze. Now, 460 wells will be shut down because officials have received incomplete or no information from oil companies there. State regulators say they plan to file for exemptions that will cover 1,650 wastewater wells, which will keep operating because they feel confident the exemptions will be approved. Environmental groups are concerned that these exemption applications aren’t being given fair scrutiny. Since many of the illegal wastewater wells have been operating for decades, questions remain about what the effect has been on the groundwater, especially in places close to people or farmland. State water officials ordered hundreds of groundwater tests in areas where drinking water wells were within one mile of the wastewater wells. They found no direct evidence the oil wastewater was spreading underground and contaminating these wells. But environmental groups say, because billions of gallons of wastewater have been put underground over the years, there’s a high likelihood that some aquifers were made saltier. After today’s announcement, the federal EPA could reject the state’s plan to keep 1,650 wastewater wells open. State oil officials say there are thousands of other wastewater wells that still require some review.